Our Elenore French Aquitaine Blue Wardrobe 2 doors is just one of our breath taking pieces of bedroom furniture from the beautiful range. The statement piece has one large mirrored door which when opened, reveals a generous storage and hanging space. 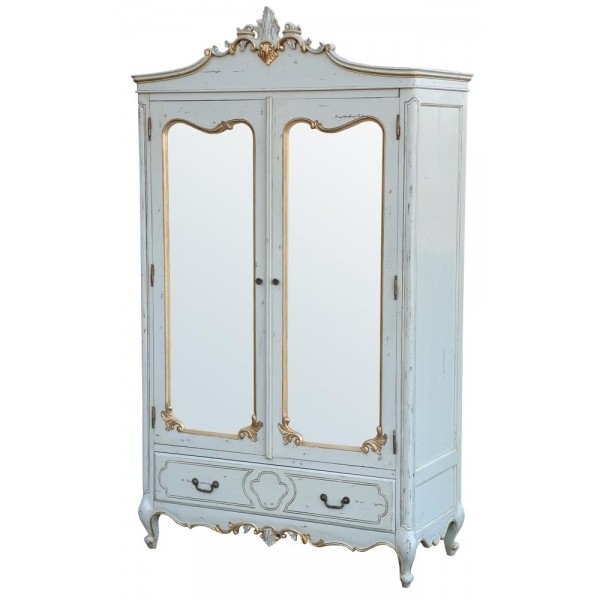 The detailed carving alongside the distressed look of the wardrobe contribute to its elegant French charm. Finished in soft blue and antique gold, this wardrobe fits effortlessly into both modern and traditional bedrooms.